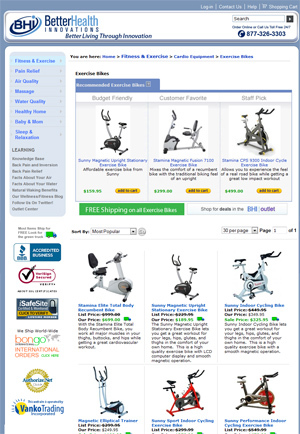 Never Before Has Shopping For Fitness Equipment Been As Easy! With a selection that can’t be beat, we have added an easy to navigate “store within a store” with quick links to the various types of equipment. In the sub-categories we have added “budget friendly”, “Customer Pick”, and “Staff Recommended” models as a place to start for every major (and some minor) type of equipment. This is in addition to the customer reviews we already have on the site. Simply browse to the type of equipment you are looking for, and you will find the recommended picks a great place to start. Along with having a great easy to browse selection, you do not have to figure out how to get a heavy (sometimes over 100 lbs) piece of equipment home from a local store or pay for delivery. Remember that virtually all fitness equipment ships free from Better Health Innovations, and there is no sales tax (Pennsylvania residents, please call us and we will pay your sales tax)! 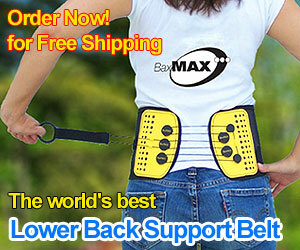 For more information, please visit out Exercise Equipment Super Store!